Sanford Meisner is a renowned acting coach that was born in 1905. He is credited with establishing the Meisner acting technique, which remains popular today. He was born in New York in 1905, to Hungarian parents, and died in 1997. His emotional acuteness stemmed from the tragic death of his brother in early childhood. He credited this event to his penchant for acting – where grief is channeled into an imaginary realm. The acting coach was married between 1948 and 1950 to Peggy Meredith. A young Meisner pursued acting after graduation from high school. Sanford Meisner is an alumni of the Damrosch Institute of Music, which is now labeled as the Juilliard School. There, he took piano lessons. 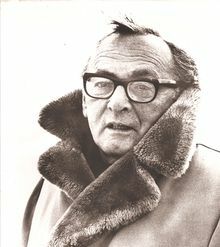 Sanford Meisner also attended the Theatre Guild of Acting. Lee Strasberg was one of the most influential teachers in the actor’s life. He, Sanford, and several others were carefully selected to form the Group Theatre. The actor began teaching at the Neighborhood Playhouse in New York in 1935. In 1947, his tutelage was sought at the Actor’s Studio – he accepted. Meisner formed the Meisner/Carville School of Acting in the early eighties. He directed Twentieth Century-Fox Talent Program between 1959 and 1961. Affective memory – which recounts the emotive sides of one’s past to help get into character more easily. This was adapted from Stanislavski’s method of acting. While many actors are trained with varied methods of acting, The Meisner Technique specifically emphasizes using the actor’s imagination, coupled with emotions, in order to make the storyline more believable. Today, the Meisner technique lives on in many top acting schools across the nation. Sanford Meisner, who was known under the alias “Sandy” to many, is respected as one of the leading acting coaches in American acting history. From agent meetings to thank you cards, we cover the important questions facing actors as they make their way in Hollywood. Many actors feel ready to get their foot in the door, but HOW? Money, unions, agents, managers, casting directors, finding your type and navigating it all with authenticity and integrity. In this workshop we tackle those questions and more. Actor training is key to the development of any artist. However,…once you learn how to act you need to know how to get people to hire you to ACT!